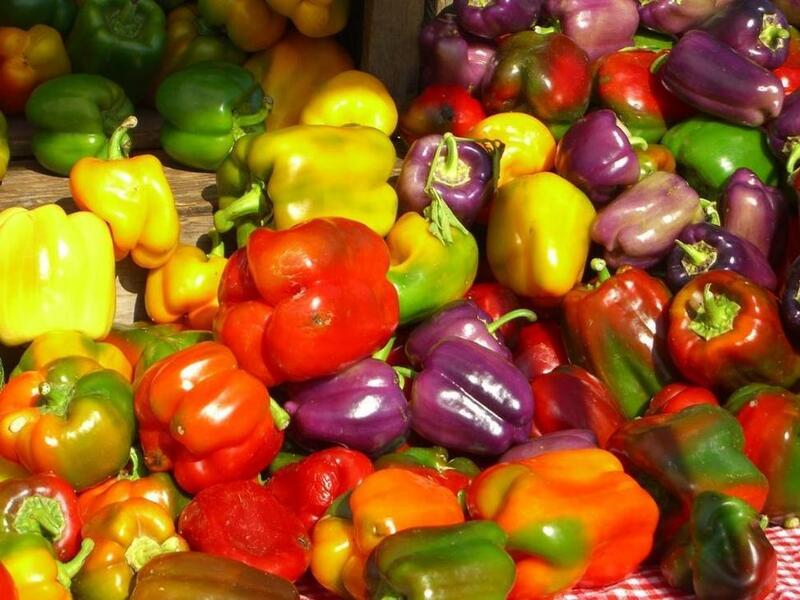 The Boca Raton Green Market downtown event, replete with every color vegetable you could imagine, is in full swing. So if you’re looking for something new to do – and to eat – on a Saturday morning, set your sights and your GPS on downtown Boca Raton. For some reason, even after 19 consecutive years, the Boca Raton Green Market is still one of the best kept secrets in Southern Palm Beach County. New residents and visitors to Boca Raton tell me they’ve heard about a seasonal green market, but they have no idea about when it starts and ends or its exact location. Well, you can stop cogitating and start vegetating. Because we’ve got the information you’ve been searching for. The Green Market is always set up for a very limited engagement. After all, it’s a seasonal event based on the growing cycles of the crops. In a way, it’s a look back in time, because you’re not only getting a taste of, but also a view of how farmers have to plan their economic lives. So it’s really worth a visit. Why? Because you’re not only helping to support local food vendors in the area, you’re also getting a chance to sample unique items that you won’t find in a typical grocery store. In fact, as the market has grown in the recent years it has become a a very popular meeting place for locals who want to support local community vendors. And as this support grows, many of these products make their way into our local stores such as Fresh Market and Whole Foods. It’s also a great way to connect with community organizations that use this event to talk about special area projects. More than 40 vendors showcase their wares. You’ll find locally grown fruits and vegetables and plants. Then there are specialty items ranging from gourmet foods to bakery products to fresh flowers (check out the orchids). For a special wake-up try the unusual blends of coffees & teas. Put a nice jolt in your salads with their different brands of oils and vinegars. And change your shower routine with their handcrafted soaps and lotions. Looking for some new home aromas? Then let your nose wander through the large variety of scented candles, which range far afield from what you’re used to buying in the greeting card store. Want a treat for your pet? The Green Market is full of new doggie delights, some of which are actually healthy. And there’s never a shortage of colorful and flavorful pastas, cheeses, spices, honey, organic foods and juices and other food items you never even thought existed. On most Saturdays from 10 am to noon you’ll be treated to live entertainment from area musicians and school groups. And it’s all natural. The open air GreenMarket is situated in Royal Palm Place at an area called The Monument Piazza. The address is 308 S Federal Highway Boca Raton, Fl 33432. Royal Palm Place is an attraction all its own, by the way. It’s a quaint shopping area surrounded by Mediterranean inspired fountains. It’s just south of Mizner Park, a highly popular area known for its specialty stores, art galleries, jewelers, restaurants and bakeries. So come on down and check out the the attractions of downtown Boca Raton and the Green Market. You’ll be amazed at what you don’t know about food and we know you’ll enjoy the atmosphere as much as we do! The Boca Raton GreenMarket is a downtown event supported by local entities including but not limited to Royal Palm Place, Fresh from Florida, The Boca Raton Tribune, Happy Dog Creations, and Premier Productions LLC.